Glade PlugIns Scented Oil Warmer only $0.25 w/ Coupon! 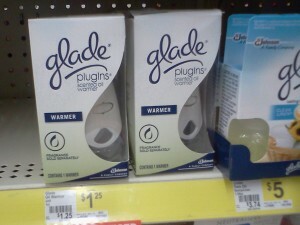 You can get a great deal on Glade Plugins Scented Oil Warmers at Dollar General! NOTE: If you don't have a nearby Dollar General, these cost $1.38 at Walmart, so still a great deal! Thanks for the photo, Dollar Store Deals!